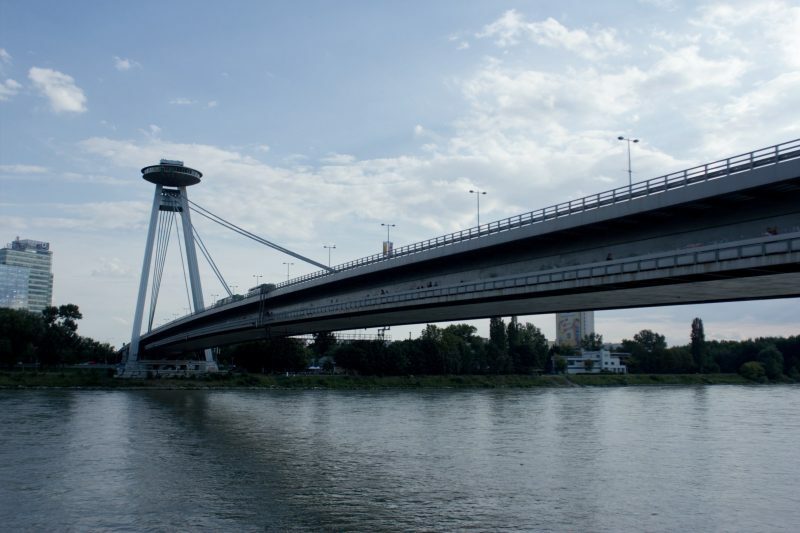 The Bridge of the Slovak National Uprising built in 1967-1972 was given the label of the most characteristic building of the city. 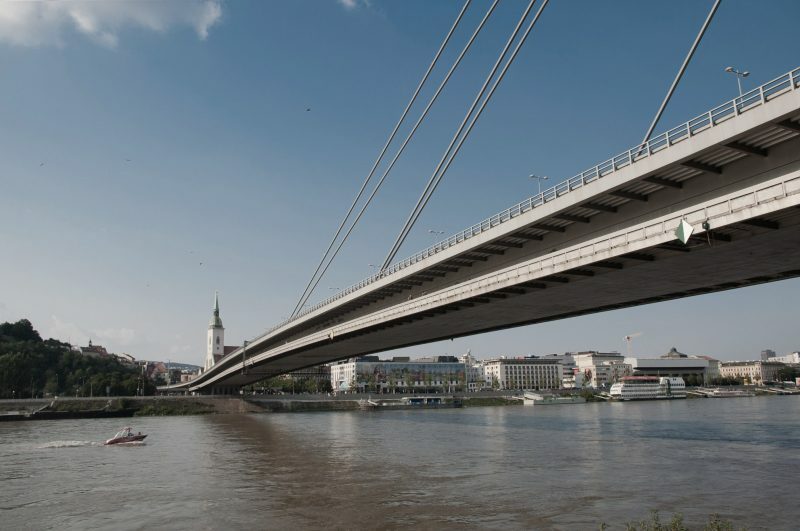 The authors J. Lacko and A. Tesar designed it as a cable-stayed bridge with one pylon. 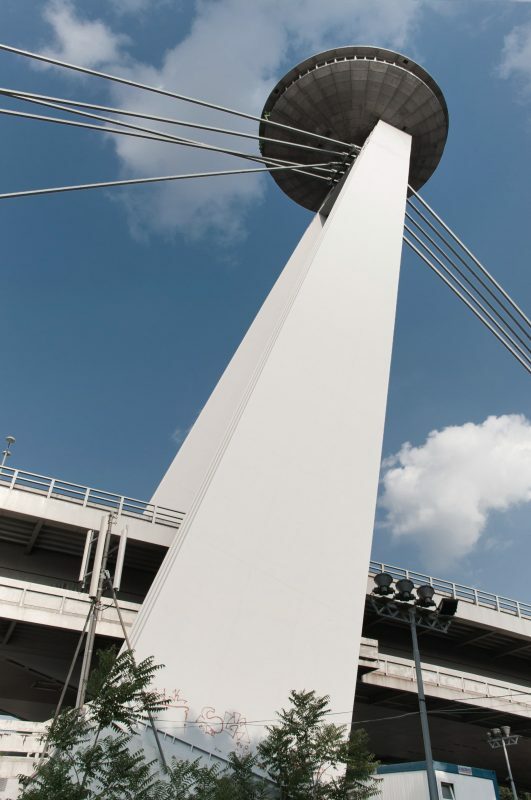 On top of the 80 metres tall pylon, there is a reastaurant accessible by a lift in one shoulder or by a staircase in the other. 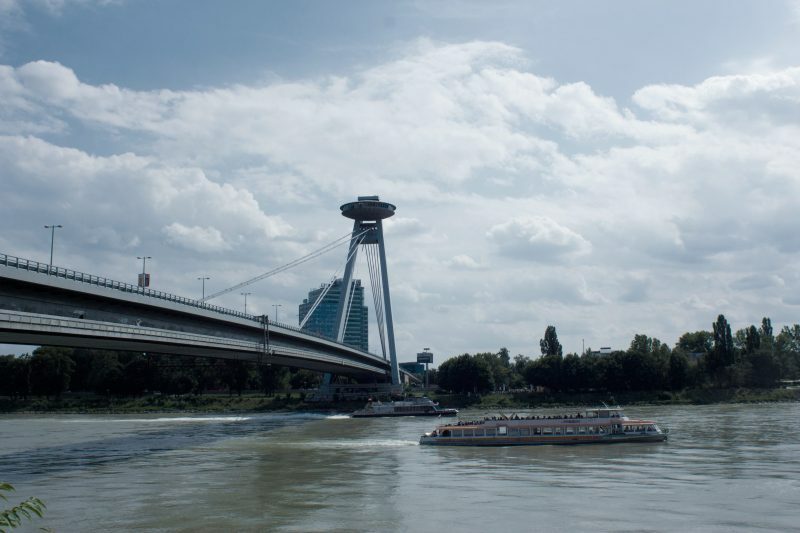 The bridge is 431.8 m long and 21 m wide. The total mass of the steel structure including the pylon is 7537 tons.